This post was submitted by Manjunath M as part of our ongoing initiative to feature our community’s staggering wealth of knowledge through high quality blog posts. If you’d like to become a contributor please review our submission guidelines and get in touch. For over 15+ years now, WordPress has been the most popular and complete CMS solution that lets you build anything from a single-page portfolio to a full-fledged eCommerce platform. WordPress uses PHP for all its backend infrastructure like updates, APIs, auth, DB layer and most of the frontend. However, like other popular frameworks, WordPress has also been forced to evolve in recent times. Existing WP websites can use React/Vue or another frontend library to create a better UI experience. Conversely, web developers get an industry standard headless CMS that can be easily integrated with the stack of their choice. That’s a win-win situation for everyone. In this article, we’re going to focus our energy on building a React frontend for the WordPress backend. But first, let’s have a look at the WordPress REST API. The development of the WP REST API began a few years ago and was initially designed as a standalone feature plugin. WordPress v4.4, codenamed ‘Clifford’, introduced the actual infrastructure of the REST API into the core of WordPress. The actual endpoints made an appearance in WordPress v4.7, codenamed ‘Vaughan’. The WP API lets you use WordPress as a headless CMS that’s easy to use and stable and JSON-friendly. post. Edit or delete it, then start blogging!" A complete JSON response using the WP REST API usually includes additional information regarding the post, like metadata. You have everything you need to create a front-end theme or a plugin to your application. WordPress endpoints are very accessible to the public. If you’re running the latest version of WordPress, you need to simply append /wp-json/wp/v2 to the end of the URL. For instance, you can access the basic endpoints at 127.0.0.1/wp-json/wp/v2 if you’ve set up a WordPress instance in your localhost. If you want to prettify the output, you can use a JSON viewer extension that makes the JSON look pretty on your browser. The data that’s being displayed on your screen is essentially the content as well as meta information in JSON format. What you have done here is to define a route and asked your browser to fetch the data for you. What do we mean by route? A route is a URL mapped to a particular method. The WordPress core reads through the route and understands that every ‘/’ represents a specific path or parameter that needs to be followed. Theme developers, as well as plugin developers, can create custom endpoints for their application. If you want to check out all the different endpoints available, you can download an application like Postman. This will provide you with a GUI specially made for exploring APIs. Moreover, you can directly make API calls to third-party apps without having to rely on plugins. Let’s take an example. Uploading files and maintaining multiple versions of it is an integral requirement to any modern web application. This is particularly true in the case of media files. In WordPress, there is an abundance of plugins available that can do this for you; however, you might need to make calls to the WordPress server to use them. With WP API, the media-handling logic can be abstracted away from WordPress. You can make all the third-party API calls directly from the frontend which is great in terms of separation of concerns. You can use a library like Cloudinary to manipulate the images and other media files on the fly and then upload them to the cloud. Once uploaded, the URL to the image can be stored in the WP backend. The options are endless and you can combine the pieces together any way that you see fit. Let’s now see how to connect the WordPress backend with React. React is a declarative front-end library for building user interfaces and interactive applications on the web. With React, you can compose smaller independent pieces of reusable code known as components. Let’s create our first component by creating a React project. The above command creates a boilerplate template for our react application which we’ve named wp-react-demo. If everything goes well, it should be able to serve the newly created application on a development server at http://localhost:3000/. 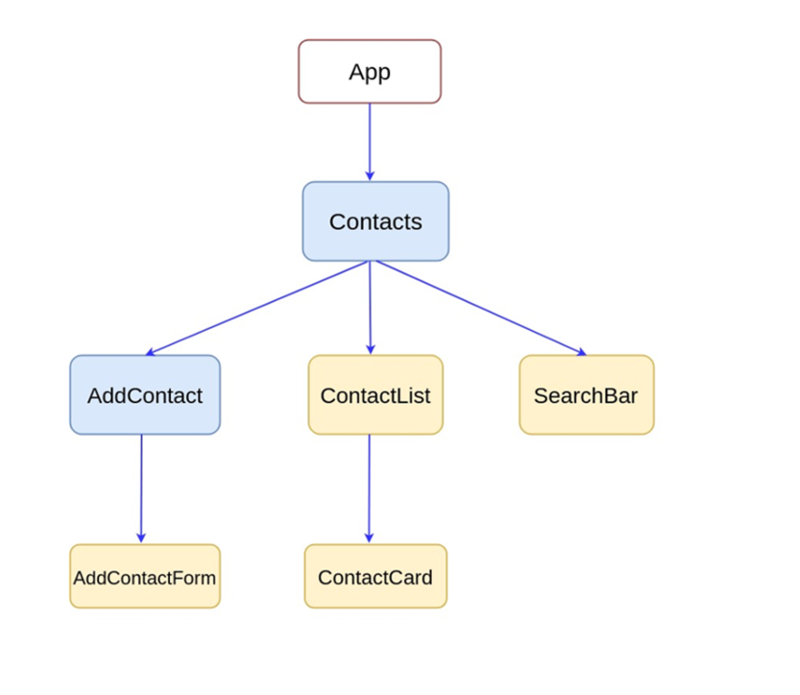 That’s the starting point where React renders the component tree into the root of the application. What does that mean? Head over to src directory and open up index.js. React tries to find an element with id “root” in the document and then injects the component into the root. In reality, the App component gets rendered and that’s where the spinning React logo is coming from. You can verify that by opening the src/App.js file. 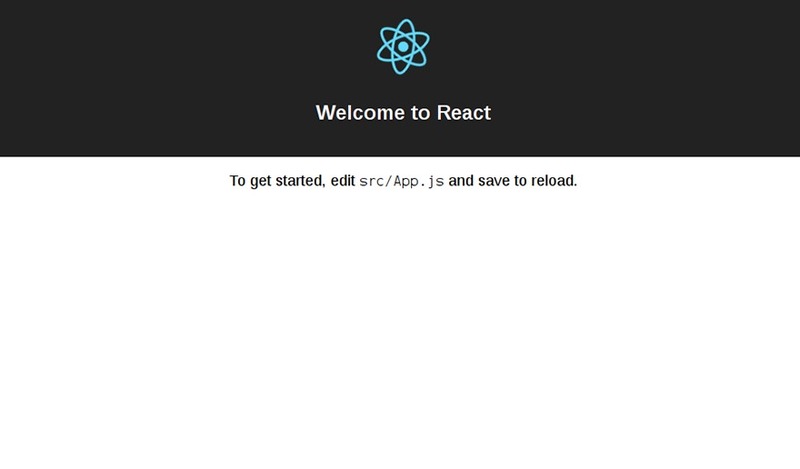 To get started, edit src/App.js and save to reload. an input (or multiple inputs) commonly known as props. The state is a JSON object. We’ve declared a title, date, and content properties inside the constructor. The title and content are objects whereas date is an array. So, where do we put this logic? The constructor might sound like a good choice because it gets invoked when the component is created, but it’s not the best choice. Instead, we’re going to use something known as a lifecycle method. The componentDidMount() lifecycle method gets called after the component has mounted. So, what happens here? First we extract the title, date and content fields from the responseJson object. The weird syntax that you see here is known as destructuring assignment syntax. As you might already know, the WP API returns a lot of information that we don’t require. The destructuring assignment syntax makes it possible to unpack values from the object into distinct variables. Next, we use this.setState() to update the component’s state. The setState() method accepts an object as a parameter which is going to be the updated state. Here is the render() method in action. I’ve added some extra tags and classes for styling. You can write all your styles in a file in the src directory and import it into your App.js. You can find the styles for this project at src/App.css. Don’t forget to add an import statement, otherwise the styles wont work. Phew! That’s a lot of ground covered in a single day. We started off with WordPress Rest API and then familiarized ourselves with the API endpoints. 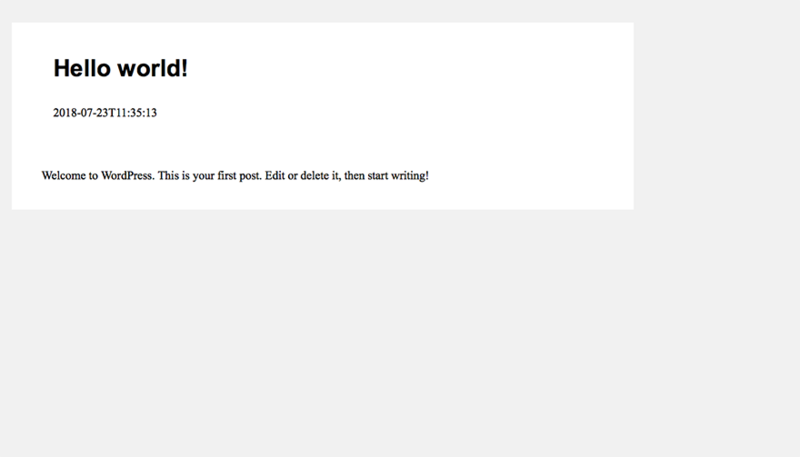 We then started building a React application from scratch that basically displays a WordPress post. Using React with WordPress is just the same as using React with any other backend API. With WordPress, it’s more easy to find data and you know exactly where to look. If you’ve just started exploring React, I’d recommend React docs as a good place to get started. If you have any questions, feel free to ask in the comments. The post React JS for WordPress Users: A Basic Introduction appeared first on Elegant Themes Blog.